Seacoast United Field Hockey Club would like to recognize and congratulate our players whom were selected for the 2016/2017 U14 to U19 Futures program! USA Field Hockey started this program in 1990 to enhance skill and game sense with the goal of developing collegiate all stars. According to the Futures sight, the program now has 5,000 elite players participating all throughout the 9 different regions. The athletes have had 9 training sessions from January through May and will finish the program with the Regional Futures Tournament. While participating at the Regional Futures Tournament, players will be evaluated and percentage of players per age group will be selected for the National Futures Tournament in Lancaster, PA. The National Futures Tournament will take place at Spooky Nook which is hub of the women’s USA Field Hockey team. The National Futures Championship also opens up opportunities for players to be selected to various other elite programs, including the U.S. Women's Junior National Teams and AAU Junior Olympic Games. As a coaching staff we strongly recommend this program to our players as it is a great way for them to continue playing field hockey during the offseason! Besides playing in club during the winter, Futures gives athletes another opportunity to play year around and to be coached by some of the top college coaches in the area. Another benefit to participating in the Futures program Futures it is one of the premier collegiate recruiting opportunities in the United States, with more than 80% of current Division I athletes having participated in the Futures program. 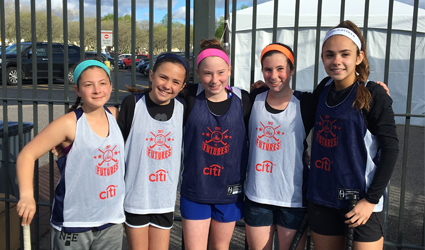 U14 age group: Nina Husak, Grace Mullaney, Sam Crochetiere, Maggie Sturgis, Kate Mackeen and Maddie Mullaney (NFT 2016). U16 age group: Shannon Conte (NFT 2016), Alana Richardson (NFT 2016), Jenny Lerner, Sydney Gregory, Lily Rothwell, Sophia Rossati, Chloe Therrien, Kate Zamagni, Hannah Amato and Anna Coyne. 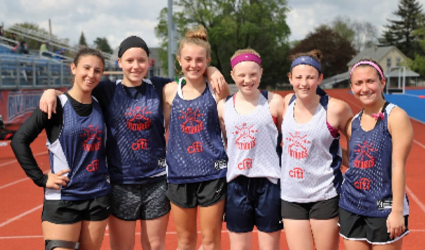 U19 age group: Catherine Furry (NTF 2016), Courtney Ingham (NFT 2016), Nikki Treadwell, Alyssa Crochetiere, Christina Callandra, Katherine Bettencourt, Kate Gregory, Meg Moran and Sarah Bagley. We as a coaching staff are very proud of these girls for their commitment to keep improving technically and tactically and fulfilling their goal to play field hockey at the highest level. Best of luck to each of you on being selected for the National Futures Tournament! Stay tuned for the 2017 NFT announcements!